Woman And Home Competitions | Prize Draw - Win a Pair of Josef Seibel Shoes! Win a Pair of Josef Seibel Shoes! 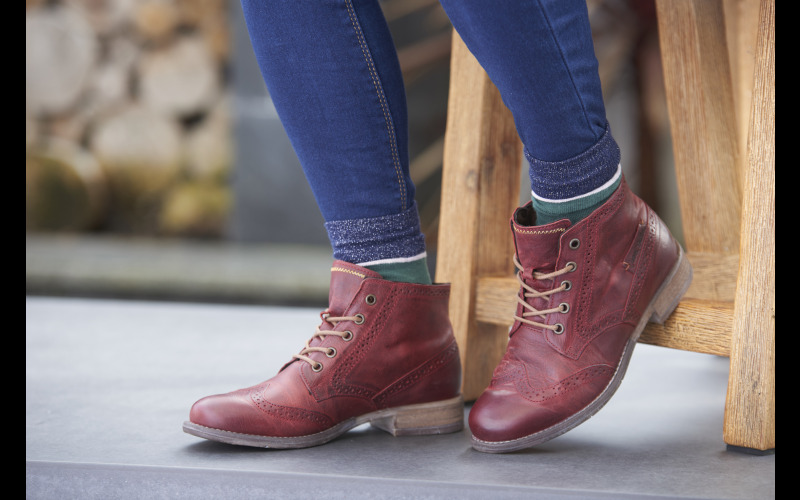 The new Autumn/Winter collections from leading footwear designer and manufacturer, Josef Seibel, encapsulate today’s definition of style. In 2018, style is demanding; of quality, of fit, comfort and of good looks. Style without compromise - and at Josef Seibel they believe that is exactly how it should be! Stylish women and men today desire comfortable footwear in well thought-out, appealing designs, crafted from premium materials, which work for every aspect of their busy lives. At Josef Seibel they have been crafting shoes since 1886. Due to this care, experience and expertise, a Josef Seibel shoe is one you'll wear throughout the season and way beyond. For the ladies there's a choice of fashion-aware ankle boots in glove-soft fine leather in a stunning array of colours. For country days, opt for sturdy, but stylish outdoor boots in premium nubuck or leather, or for Western influence there are ankle, mid calf or knee high options. Josef Seibel gentlemen are being invited to turn up the style stakes with bang on-trend lace-up, Chelsea boots or brogues. Head straight from office to bar.